Wednesday for us means variety and today we had a ton, I thought it would be fun to do a listicle, so here it is. 1. What Backups? Oh good, those ones. I got an email telling me every day that backups were successful, sounded good to me. So yesterday when I needed a physical backup, I went to retrieve one. Yeah, backups are never right. It doesn’t matter what you think is happening, it isn’t, or maybe never was. Turns out our DB had long ago been abstracted to RDS, as such it was just the application server being backed up every day. The application server which runs the application we store in source control. Sure it’s great to have a readily deployable copy of your system, but without data it’s pointless. Thankfully RDS had automatic snapshots running every day, as we’d become accustomed. The only real problem here is that an old system had never been shut down, and I had blindly put my faith in the notifications. We take our recovery process serious here at IEX, whilst we always would have been able to restore from a disaster, it’s better learning that on calm seas and clear skies days. 2. 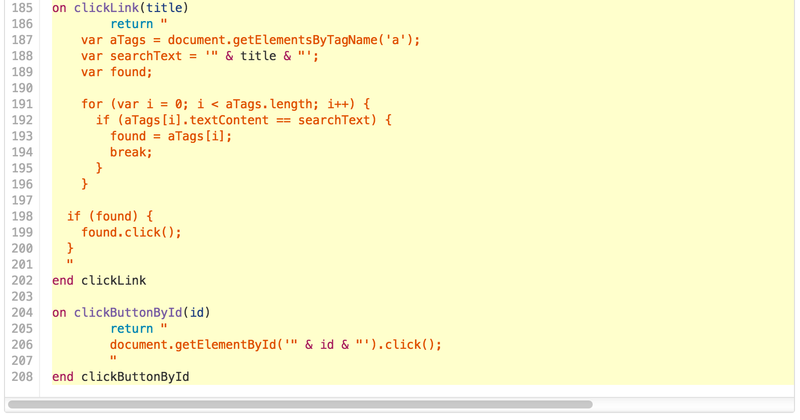 Apple Script oh my! Our staff fill in a lot of forms, they’re basically moving information from one country to another. Over the years people have come up with a variety of ways to use AppleScript to automate their workflow. Today engineering was brought in to help diagonose why a script was falling short. It was a great opportunity pair with two of our PMs in a language that neither of us had really used before. It was super simple to digest and the results were right in front of you. Good fun, do recommend. Not only did we fix the bugs in the code, we also introduced two new methods into the mix that helped automate things ever further. A lot of inspiration came from the jnicklas/capybara library we use to test our Application. 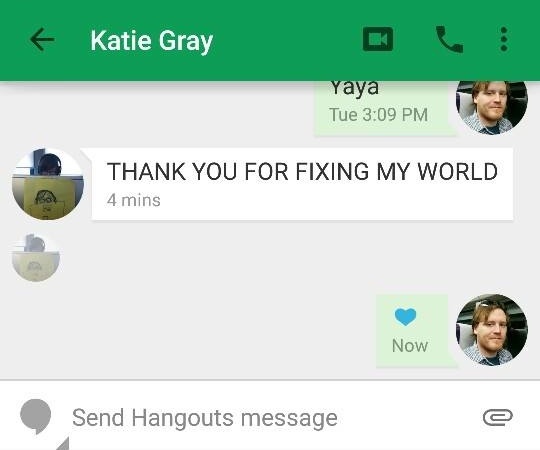 So you fix one apple script and turns out it was your friend who used that script, omg! 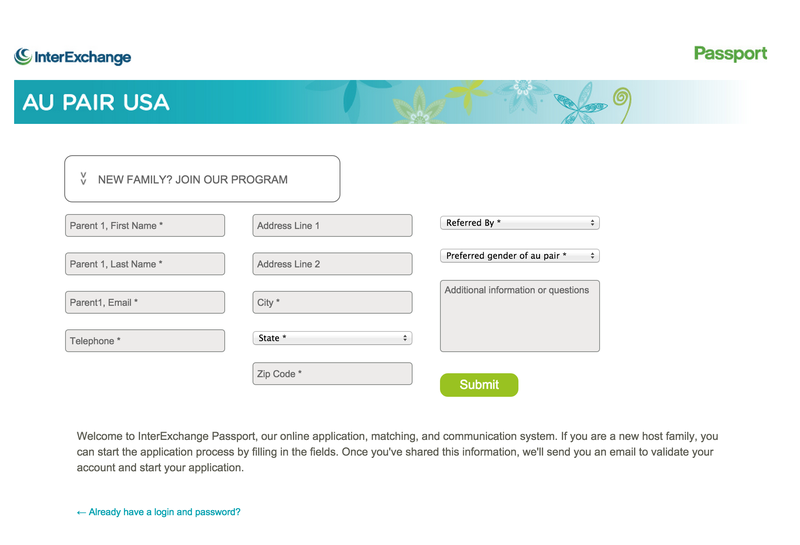 Our current signup page for Passport leaves a lot to be desired, it’s been on our list to clean it up for a while now. We didn’t need all the fields. eg: the address was only being requested because we needed to know if the Host Family was within range of a Local Coordinator. The labes were placeholders, which meant you instantly forgot what you were doing when you filled the form in. 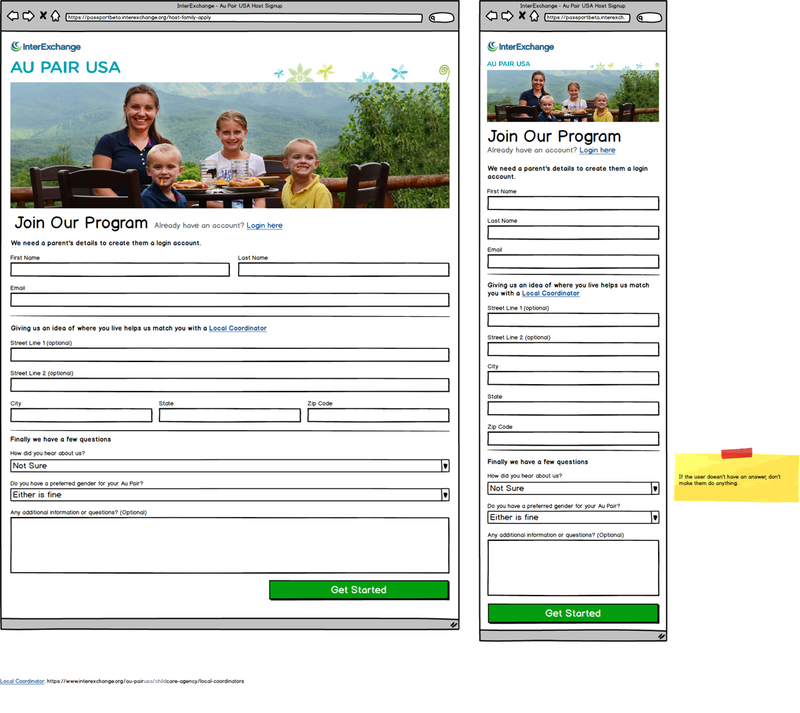 General inconsistency and presentation, eg: Parent 1 / Parent1, also what is that white box >>> even anyway? Zero responsiveness, none at all, I don’t even understand why the fields were laid out that way at all. First step was a mockup of what we were going to build. This would be a great point for collaboration on the little details, however the planning hadn’t really happened and we were flying by the seat of our pants, so we just jumped straight into implementing. We’re not live yet, spending time now with the team to tighten up content, we hope to go live next week though, and here’s a sneak preview. Interesting difference was that we abandoned the multiple columns in the large view. I’m seeing this more on the internet that web is morphing into the ‘mobile’ look. A noticable example of this is in the Google Docs range, where the add button is in the perfect place for a thumb, and the list exactly what you’d see on a mobile.